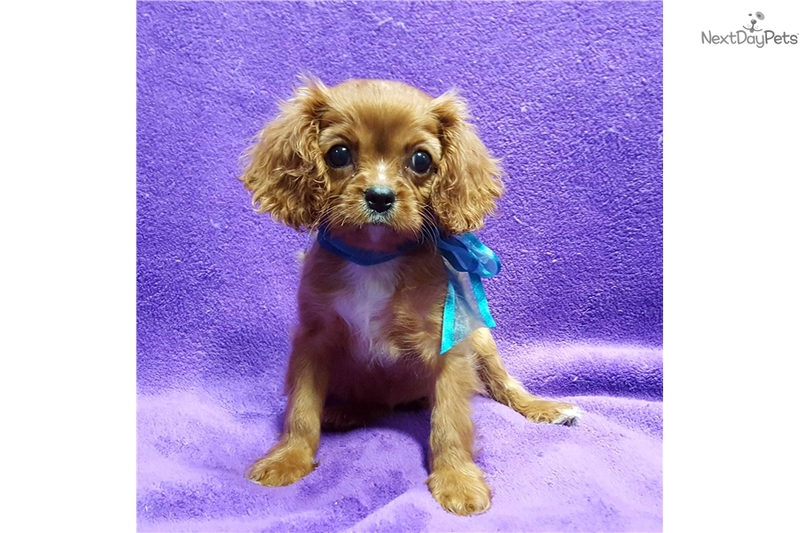 This Cavalier King Charles Spaniel nicknamed Sissy sold and went to a new family. Sissy is a cutie pie! She's looking for her forever home and can't wait to find a new playmate. She loves to be silly and is well socialized. She likes to have fun with toys while you play with her. Sissy will arrive with a vet check, health certificate, 1 year health guarantee, and travel crate if shipped by plane. We ship by plane or by ground, whichever is preferred and ship on Tuesdays and Fridays. Estimated shipping cost is $275-340 for air and $150 for ground. Microchipping is available upon request for an additional $15.